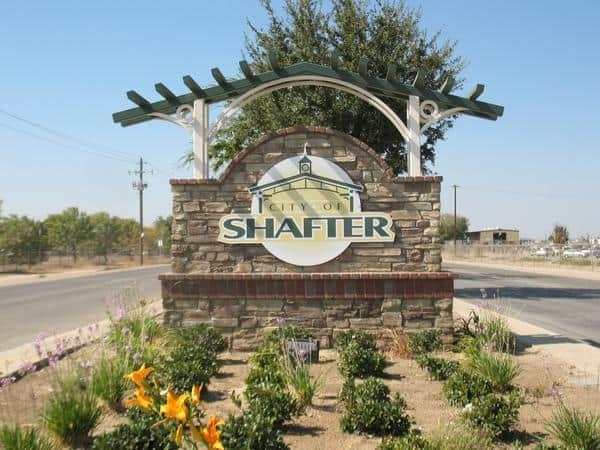 Located approximately 20 miles from Bakersfield, Shafter real estate offers great employment options and the feel of a small town community. This page will introduce you to information on Shafter Real Estate and Shafter Homes for Sale. Incorporated in 1938, its approximately 16,988 residents appreciate the history the area offers. One historical note for the area is Minter Airfield, the airport was home to the first human-powered airplane in 1977 which is now celebrated by a state monument. Much of the area’s industry is agriculturally based however other industries have been introduced into the area like manufacturing and energy. Shafter Real Estate serves as a major hub in central valley logistics. The International Trade and Transportation Center also know as Paramount Logistics Park is used by several large vendors like Ross Dress for Less, American Tire Distributors and Burlington Northern Santa Fe as a center stop between Long Beach ports. The City of Shafter also installed a 25 mile ethernet network in 2006 capable of speeds up to 40 Gbit/s. Future development along 7th Standard Rd will take advantage of this newly installed network. Interested in more info on Shafter Real Estate & Homes for Sale? Contact Us Anytime! Shafter, CA is served by seven public schools, the oversight of those seven schools are done by two school districts; Maple Elementary School District with an overall “C” rating and Richland Union Elementary School District with a “D” rating by Homefacts.com. The top rated schools for the area are Maple Elementary (Grades K-8) with a “C”, Shafter High (Grades 9-12) with a “C”, Richland Junior High (Grades 7-8) with a “C”, Golden Oak Elementary (Grades K-6) with a “D” and Redwood Elementary (Grades K-6) with a “D”. Crime is moderate in Shafter and managed by Shafter Police Department.